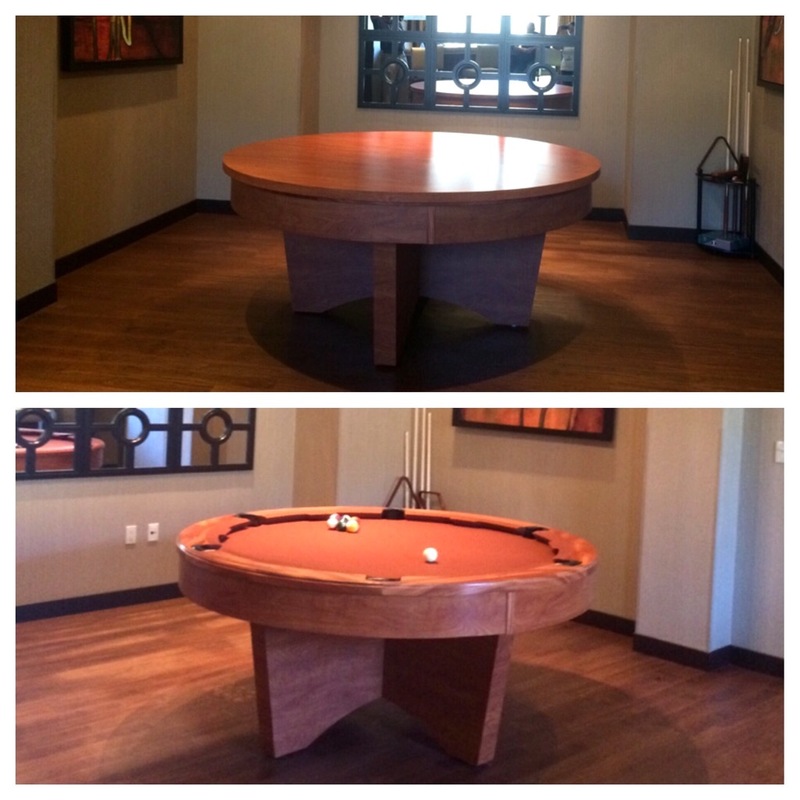 JM Billiard offers a “Classic Line” and a “Custom Line” of ROUND pool tables available in 6, 7 and 8 foot diameters. 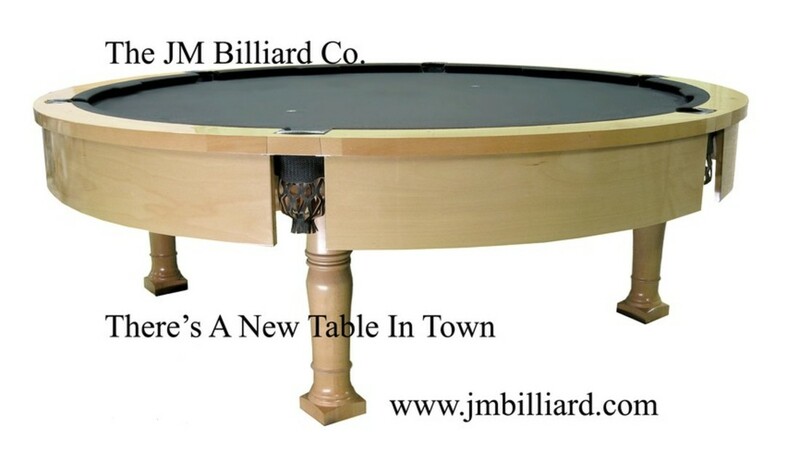 Round pool tables include 6 pockets, 20 plus felt colors, slate/slatron, and have B.C.A. (Billiards Congress of America) specifications applied, where possible. Whether you are looking to turn your game room into a modern, contemporary, or custom design…these custom pool tables/game tables can be personalized to match any theme, sports team, or existing furniture. The straight bank in the center of each rail, making bank shots an ease! 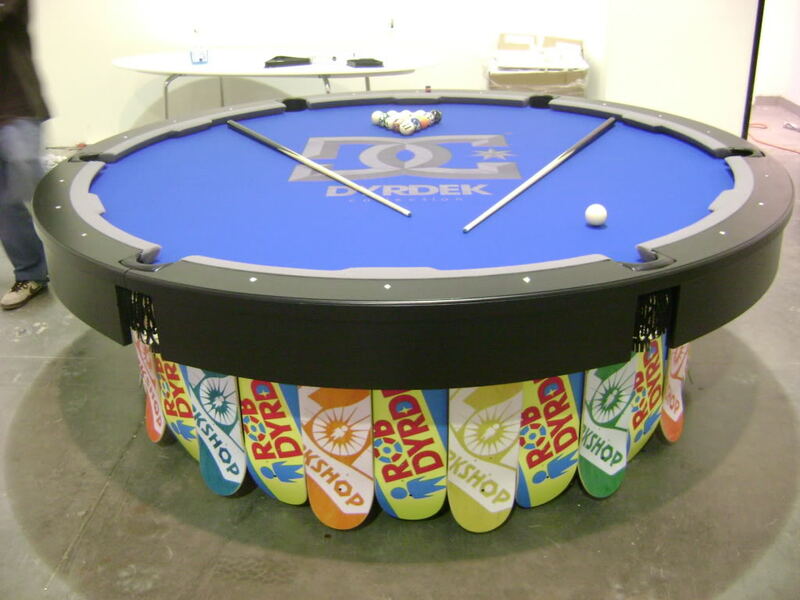 The custom D.C. / Alien Workshop themed round pool table we built for Rob Dyrdek that was featured in season 2 of his show on MTV called “Fantasy Factory”. 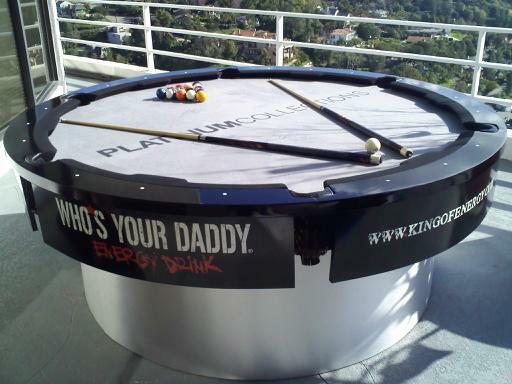 Custom “Who’s Your Daddy” energy drink / Platinum Collections themed round pool table we built for our good friends over at Who’s Your Daddy Inc. 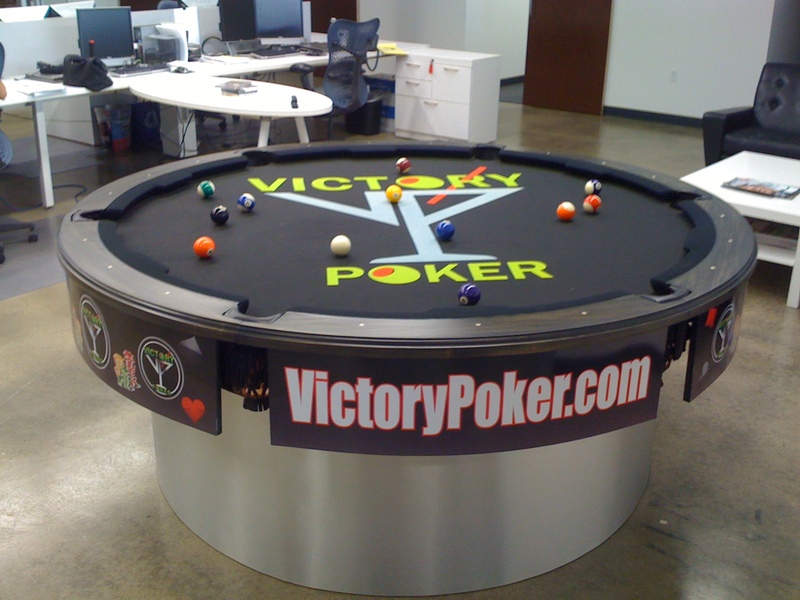 This is the custom round pool table we built for Dan Fleyshman of Victory Poker and his team. The logo was created by the artist Michael Godard.